The setting: San Francisco, 1945. The people: nurses and Navy men. The adaptation: Shakespeare’s “Much Ado About Nothing.” The point: forget everything you think you know about opera. SF State professor Christine Brandes is bringing a unique approach in her musical, “Beatrice and Benedick,” based on Shakespeare’s “Much Ado About Nothing,” a play involving trickery among the characters and exploration of the lives and crossed paths of the two title characters. 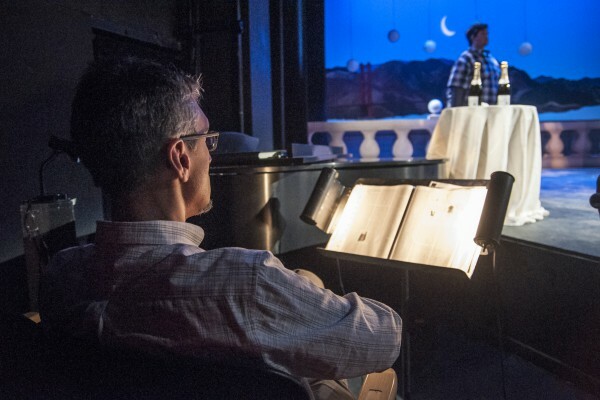 Brandes, who teaches an opera workshop, is the perfect person to direct the latest theater department production. Brandes is a professional opera singer and has starred as a soloist all throughout the U.S. since age 26, including her work at the San Francisco Opera in early 2000. Brandes’ vision of this play arrived before the pre-production process began. She said audiences should expect to see the results of the hard work that the crew put in, involving the scenery and experience of the opera. The look of “Beatrice and Benedick” is inspired by what Brandes calls the “old-school, golden age of Broadway,” because it’s more of a fun musical than anything else. The show is in two acts and sticks to a less-traditional sense of opera by featuring more spoken dialogue and musical numbers. The show’s Musical Director Cyrus Ginwala notes that the opera pulls from the work of French composer Hector Berlioz, popular in the early nineteenth century. Brandes wanted to place the show in San Francisco at the end of World War II because of the impact of that time period, in addition to the great fashions of the decade. The show’s design also highlights the beauty of the Golden Gate Bridge and Marin Headlands in its background, and features well-known locations in the city, such as the Gordon Getty House. Another unique aspect of this opera is that Brandes is using two casts for the main characters in the show. This means there are two Beatrice characters, two Benedick characters and two Hero characters. Brielle Neilson plays one of the Beatrice roles and said working with both casts during rehearsals has been going pretty smoothly. Neilson is an SF State alumna who received her master’s in vocal performance last spring, but auditioned for the part because she had a more developed, operatic voice perfect for the character. Blake Quin, who plays one of the Benedick characters, said he has enjoyed acting in the opera and having Brandes as a director. Quin acted in Brandes other opera, “Dido and Aeneas,” last year and noted her as an “all-star” director and singer. Quin believes that no matter what cast audiences come see of “Beatrice and Benedick,” they will be thoroughly pleased. “Beatrice and Benedick” runs at 8 p.m. April 24-26 and May 1-3, and at 2 p.m. April 27 and May 4 in Little Theatre. Tickets are $5–$15.